Would you rather be a person of significance or a person of prominence? Think carefully The answer to that question will shape your entire future. Pastor, teacher, and beloved author Charles Swindoll says, "Somehow life has taught us poorly. We're trained to think that the most significant people are star athletes, actors, and musicians--the ones we applaud, those whose autographs we seek, those who have worldly renown. "They aren't. Not really. Most often, the people really worth noting are those who turn a 'nobody' into a 'somebody' but never receive credit." What is forgotten far too often is this: Success in God's kingdom and in the church depends upon faithful people the public rarely knows. The Old Testament contains numerous fascinating stories of forgotten lives--unsung heroes whose actions, sacrifices, or battles failed to ascribe them worldly renown. These great lives, however, reveal significant people whom God honors in the pages of His Word and, therefore, deserve our serious attention and emulation. Adino took out eight hundred armed, skilled fighting men with his sword. Eleazar attacked the Philistines by himself for so long that his comrades had to pry his sword out of his grip. Shammah, while his companions ran like scared cats from their enemies, stood his ground--alone--and was victorious. And yet, did you recall any of their names? They're not on the rolls of the rich and famous. Still, they are significant. 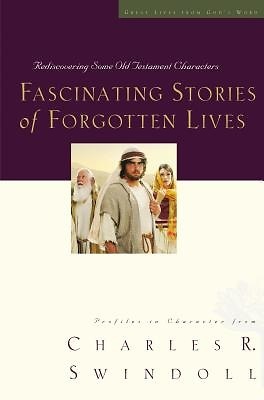 In this eighth volume of the bestselling Great Lives from God's Word series, Chuck will examine little-remembered Bible characters and events. He will help you discover biblical principles and practical applications for living so that you can be who you are in God's estimation . . . a person of true significance.